That's right.... The Lexmoto Echo has been put to the test by Autotrader and has come out victorious! Each year, Autotrader rounds up the best bikes available in each license category (AM, A1 and A2) as well as by design feature (Naked, cruiser etc) and competes them against each other to determine which is the top choice for each category. 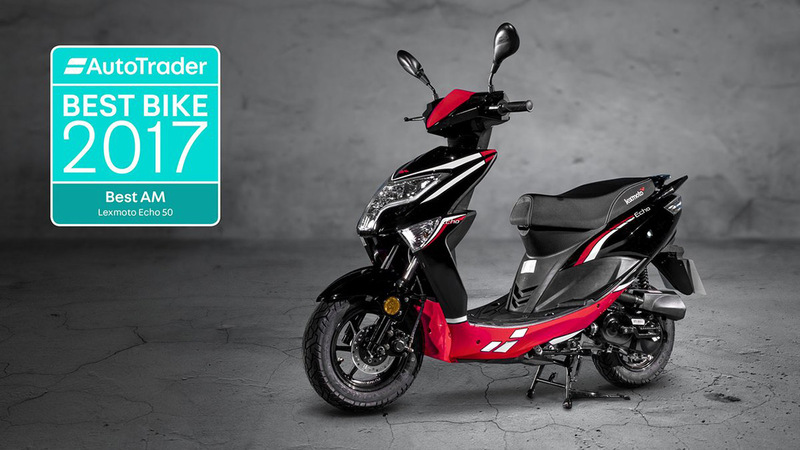 This year, the Lexmoto Echo 50cc made the shortlist for the AM license category and after being thoroughly tested on a number of factors including; riding position, practicality, performance and design, it has been voted by the Autotrader judges as the best of the best. We are absolutely thrilled by the result as it goes to show just how far Chinese bikes have come in regards to quality and performance as they can hold their own against their European and Japanese counterparts.